Gold Mango Design is a Web Design, Web Development and Digital Marketing Company in Plano, Texas. Our Websites and Digital Marketing solutions help your business build a strong online brand to reach more customers and increase leads and conversions. Responsive or Mobile-friendly websites perform well on devices of all sizes from desktops and laptops to tablets and mobile devices. In today’s mobile-first world, a business website must be mobile-friendly. We develop WordPress websites using the versatile WordPress content management system. We develop new WordPress websites and update existing websites. We optimize your website for search engine optimization or SEO. SEO helps to improve search rankings and increase targeted traffic to your website. We develop Google Ads (AdWords) PPC (pay per click) marketing campaigns to increase targeted traffic to your website. PPC ads are displayed on Google’s search results pages. We are Google Ads (AdWords) certified. Our Digital Marketing Consulting services include Web design and development, SEO, PPC, Analytics, landing page optimization, website optimization and more. Gold Mango Design is a Web Design and Digital Marketing company in Plano, Texas outside Dallas. We help small and medium businesses reach more customers with Mobile-Friendly Websites and effective Digital Marketing Solutions. Your website is the foundation of your internet marketing strategy. In today’s mobile-first world, a business website must be mobile-friendly and responsive to be effective for internet marketing. A responsive website will offer an optimum user experience on devices of all sizes from smartphones to tablets, laptops and desktops. We design and develop Mobile Friendly and Responsive websites and provide Internet Marketing services to drive targeted traffic to your website. Search marketing is a powerful method to drive targeted customers to your website and increase conversions and sales. SEO or Search Engine Optimization and Google Ads (previously AdWords) Pay Per Click Marketing are very effective search marketing methods that can help increase your website traffic, leads and sales. Gold Mango Design LLC is located in Plano, Texas near Dallas. We serve local businesses in Dallas and North Dallas areas including Plano, Frisco, McKinney, Allen and Richardson. 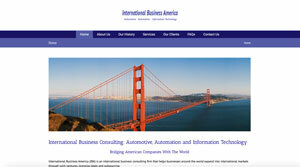 We also serve businesses across the USA. Some of our recent Web Design and Digital Marketing projects are shown here. Go to our portfolio to view more projects. Our Digital Marketing Blog provides informative articles on Internet Marketing, Web Design, Web Development, SEO, Google Ads marketing and more.